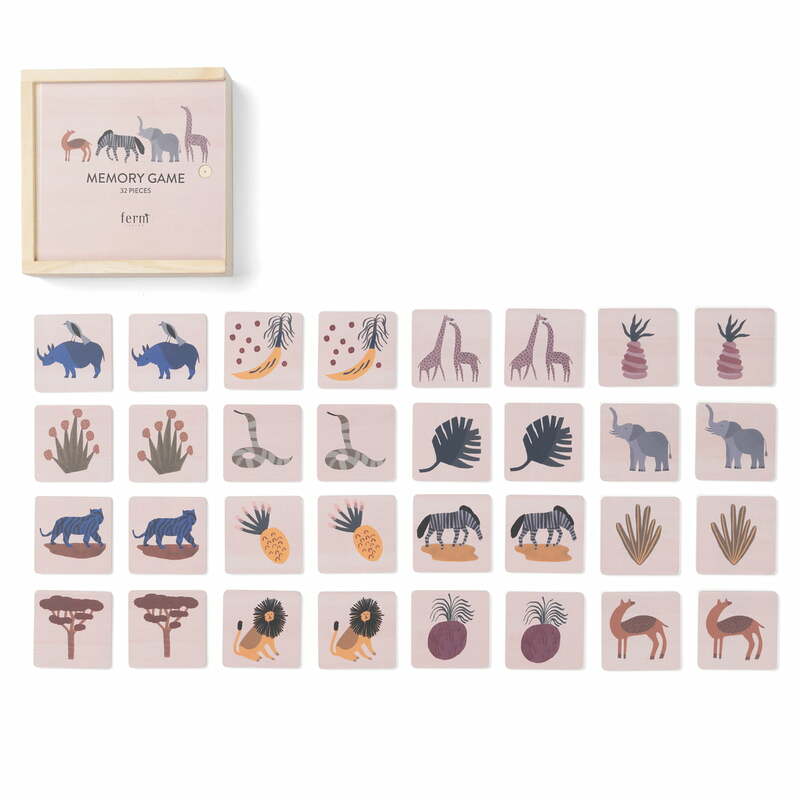 The Safari Memory game from ferm Living brings joy as well as animals and plants from the African savannah into the children's bedroom. Get to know the African fauna and flora while improving your concentration in a relaxed way. For adults and children. Memory comes in a beautiful gift box made from plywood and consists of 16 pairs of cards with the same motif. 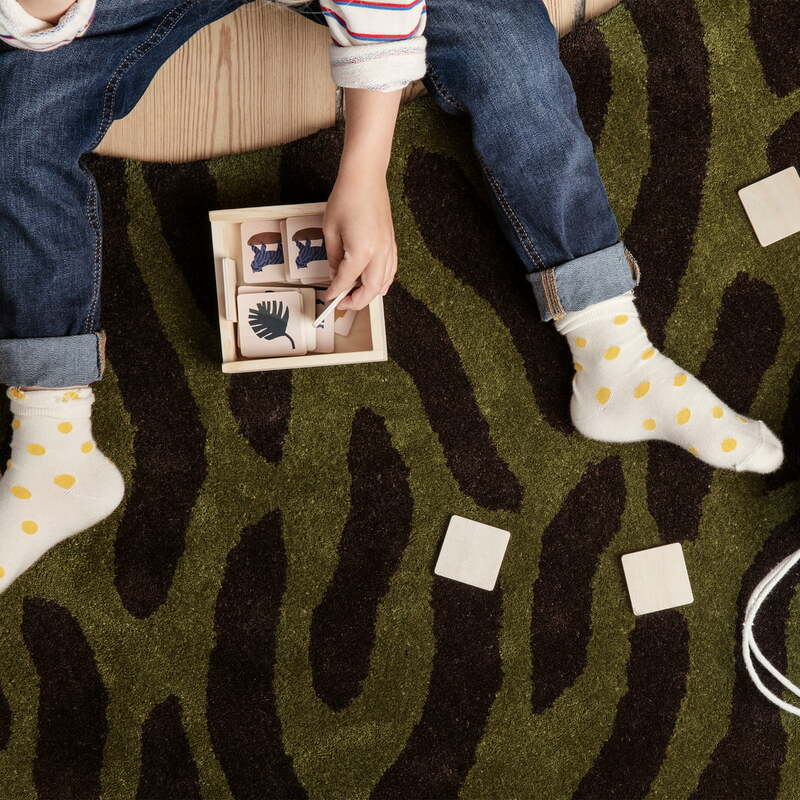 Giraffe, snake, pineapple and co. come are brought into the family home while the subtle colours and the natural wood make Memory a durable toy. Memory is a great gift idea for children for birthday or Christmas. Isolated product image of the Safari Memory game by ferm Living made of lacquered plywood. Memory is a great gift idea for children for birthday or Christmas. 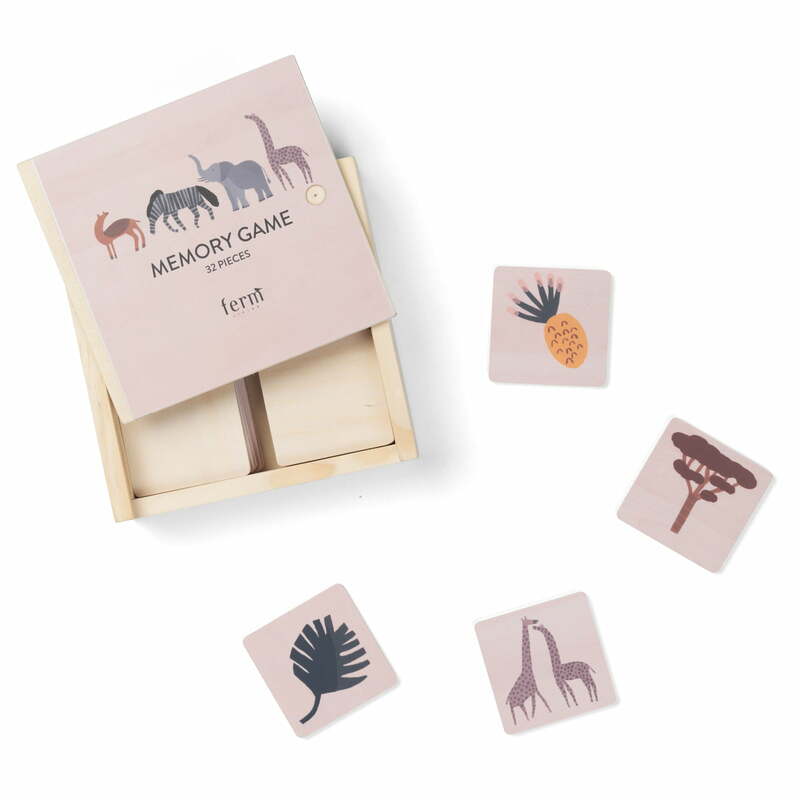 The Safari Memory Game by ferm Living. Memory comes in a beautiful gift box is made from plywood and consists of 16 pairs of cards with the same motif.